As one of your most valuable assets, your car deserves some protection. By adding a carport or garage to your property, you’ll shelter your car from the elements, create extra storage space, and boost the value to your home. There are some differences in how each of these buildings can benefit you, though. Which one you should build depends on how much security and space you need as well as how much you’re willing to invest. A carport is a covered shelter consisting of a roof supported by posts with one wall or none. This simple design makes them cheap and quick to build, but the protection they offer is limited. Budget friendly – Because they require less material and construction skill, carports are far cheaper to build than garages. For a basic carport, you’ll need only wooden posts and support beams (rafters), concrete, aluminum or polycarbonate roofing panels, and the hardware to put everything together. Steel, tile, and shingles are also options for roofing, but they’ll cost you more. Depending on your budget and preferences, you can build right over the ground, lay gravel or pavers, or put in a concrete floor. If you’re handy with basic construction, you can build the carport yourself to save money on labor. Even if you hire help, you can get a simple, one-car carport built for around $5,000. Quick to build – With little construction involved, carports are faster to build than garages. Exactly how much time you’ll need depends on the design you want. An experienced builder can have a basic carport up in just one or two days. If you want a wall, a floor or an intricate roofing design, though, your builder might need three or four days. If you don’t want a concrete floor, you won’t have to worry about the weather delaying your project, either. Less bureaucratic hassle – Carports aren’t considered enclosed or livable spaces, so the regulations that apply to them are less strict than for garages. For a small carport, you might not even need a building permit. 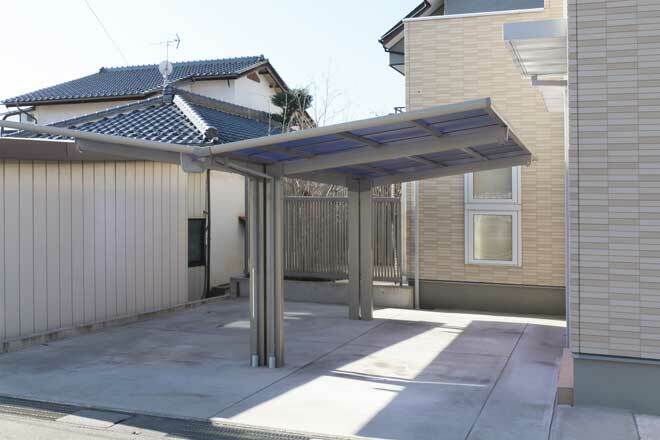 Easy to access – A carport lets you come and go freely. You won’t need to open and close the door every time you want to get your car in or out. The open design gives you more space for opening doors and loading the car. You can ride a bike straight in and out, too. Your kids will have a convenient place to drop off their outdoor toys instead of leaving them all over the yard. Limited protection – With no walls to stop it, the wind can blow rain, snow, and debris such as leaves and pollen onto your car. Neighborhood animals can get in to leave paw prints and droppings. Not ideal for storage – A carport gives you no protection from thieves. Anyone can look from the street to see what you’re storing there, then walk right in and take it. Even if you’re not worried about theft, the average carport leaves little room for storage boxes and there are no walls to support shelves and hooks. Whatever you store there is liable to get damp at the very least. 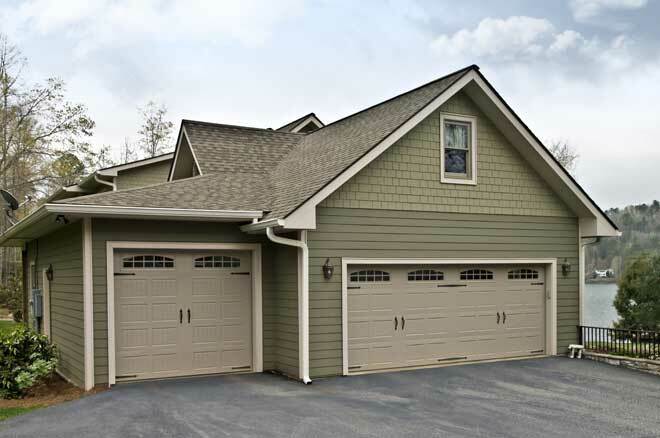 Less attractive – A garage complements the house, so the two look made for each other. A simple carport, on the other hand, stands out more and can look like a half-finished project stuck on as an afterthought. There are ways to improve your carport’s aesthetics, though. A concrete floor and a roof design that matches your home’s roof will give your carport a more polished look. A garage is a fully enclosed building with doors and windows as the only access points. It provides full protection from the elements and would-be thieves, but requires a fair amount of planning and investment. Total protection – Inside a garage, your car will stay completely dry and clean no matter what the weather outside. You won’t need to scrape snow off your car in winter or suffer from baking heat when you get in your car in summer. You can change the oil, rotate the tires, and do other maintenance in comfort any time of year. If you build an attached garage, you can get your groceries and packages from the car to the house without having to carry them through the rain or snow. Anything you store in the garage will be hidden from would-be thieves. Even if a thief manages to see what’s in your garage, the locked doors and windows will keep them out. Great for storage – Security isn’t the only thing that makes a garage an ideal storage spot. The walls provide space for shelving and hooks, and the ceiling can support an overhead storage system. Because garages tend to be larger than carports, they also give you more floorspace for storage boxes and garden equipment. The space is dry and less subject to temperature swings so your stored items won’t suffer damage from heat or moisture. A more elegant look – Because a garage is easier to match to the house than a carport, it gives your property a more consistent, well designed look. The walls give you more options for landscaping and lighting. Flexibility – More than a place to park your car and store extra stuff, a garage also expands your living space. You can turn a corner of your garage into a workshop, or a home office, gym or theater. For greater comfort, add heating and cooling by extending your existing HVAC system or installing a ductless system. Increased home value – A garage is all but guaranteed to raise the selling price of your home. You’ll get back the money you invested in the building and then some. It can also help your house sell faster when the time comes. 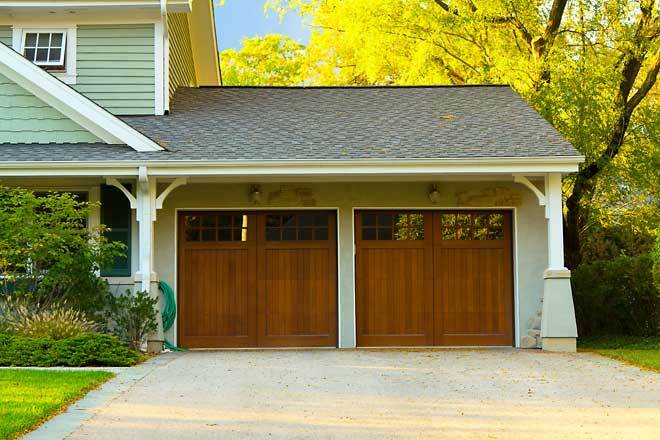 Many home buyers consider a garage a must-have and won’t look at any house without one. More expensive and time-consuming – To build a garage, you’ll need material for the foundation, walls, doors, and windows, wiring, and lighting. That alone greatly increases the cost compared to a carport. If you’re not able to do the construction work yourself, you’ll need to pay for skilled labor, which is more expensive than hiring a handyman to put in some posts with a roof. The total will run you around $20,000. Timing matters, too, because you’ll need dry, warm weather to allow the concrete foundation to set. More complex building requirements – There’s a lot more bureaucracy to wade through for a garage than for a carport. In most areas, a garage requires a building permit, which takes time to get. Once you have the permit, you might need a land survey conducted by a licensed surveyor before you lay the foundation. During construction, the framing, sheathing, and electrical system need to pass inspection. After all that comes a final inspection. Requirements for passing these inspections vary by region, but you’ll most likely need fire-rated walls and ceilings, a drainage system, lighting, and smoke and CO detectors. If you’re planning on using your garage as a living space, regulations are even stricter. If all you need is a low-cost way to keep your car relatively dry and shelter your garden equipment, a carport will do the job. If your goal is to keep your car as clean as possible or you need a secure storage space, a garage is a better bet. While a garage takes a bigger investment of time and money, you’ll be rewarded with a space that can do a lot more than protect your car.